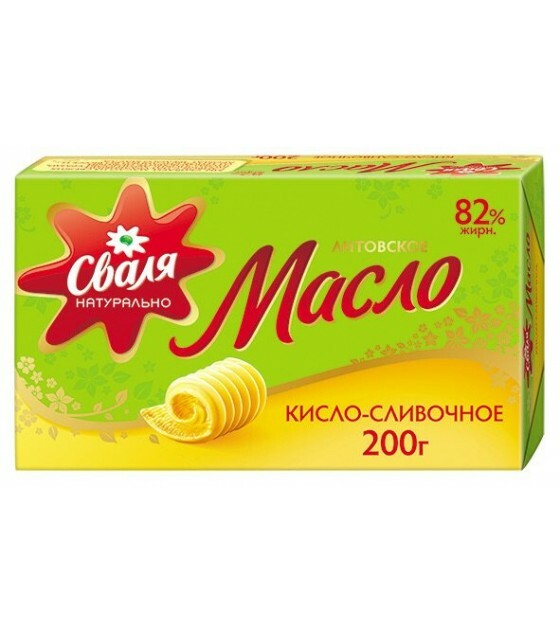 SVALYA sour cream butter, 82%, 200g. The top quality butter is genuine and natural. 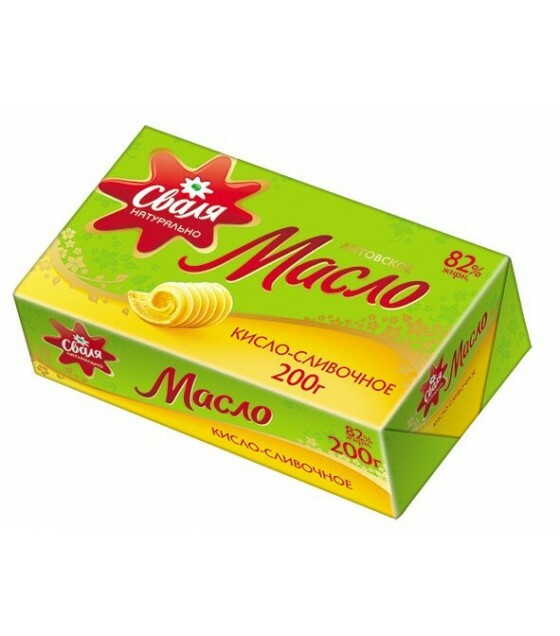 It is made from sweet and sour cream, making it aromatic and nutritious. Modern manufacturing technology maintains the butter’s ideal consistency, its delicate taste, and ensures it is easily spreadable.